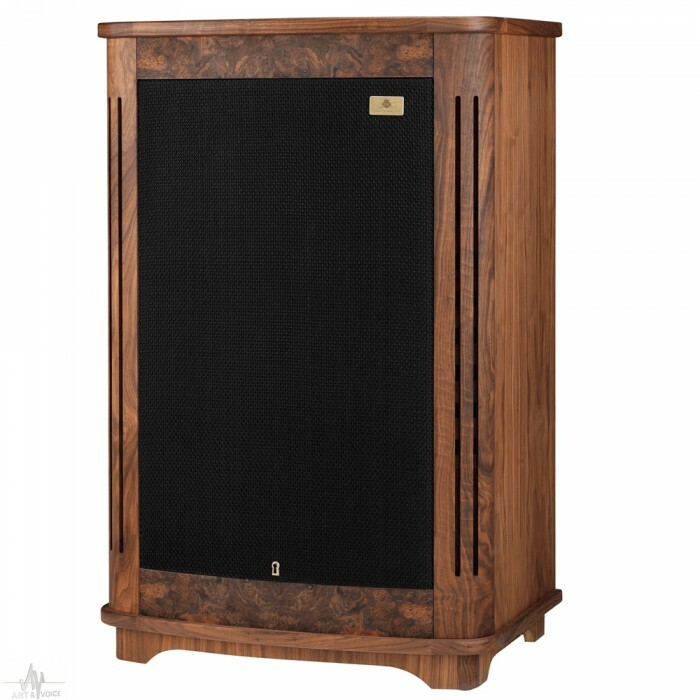 The Canterbury Gold Reference is designed for those who demand the power and passion of the 380mm (15.00”) Gold Reference Dual Concentric™ driver yet require a more compact loudspeaker than the magnificent Westminster Royal GR. The new 15in Gold Reference driver is Tannoy’s most powerful and articulate Dual to date, boasting an incredible 600 watt peak power handling and offering over 96dB efficiency in the 235 litre Canterbury GR cabinet. 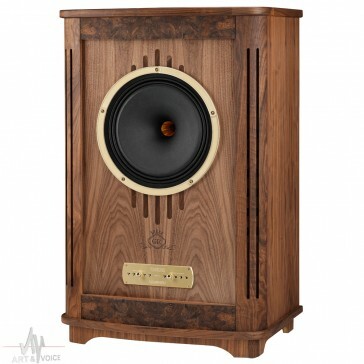 The legendary 15in Dual has been upgraded extensively for the Gold Reference series with many of the enhancements being ‘trickle-down’ technology from Tannoy’s flagship Kingdom Royal development project. The low frequency section of the GR driver has a new fibre enriched paper pulp cone material to realise further improvements in the cone’s mechanical characteristics. The cone is terminated with a twin roll surround of impregnated fabric for improved damping characteristics. The Canterbury GR’s HF unit marks a significant leap forward in the technology and performance comprising a new aluminium-magnesium alloy compression driver diaphragm that has been heat treated to further improve it mechanical integrity under HF loads. The use of new Mylar™ surround materials offer improved damping and motor cooling, resulting in exceptional clarity and articulation throughout the HF range. Capable of high-volume listening without fatigue, the Gold Reference Dual brings even greater naturalness and presence to the Tannoy Canterbury loudspeaker. The massive Canterbury crossover has been redesigned to provide a cleaner and more accurate signal to the new 15in Dual. Featuring Tannoy-specification ICW ClarityCap™ MR capacitors, low loss laminated core inductors and thick-film resistors, the entire crossover is Deep Cryogenically Treated as a whole unit. The process has allowed the Canterbury GR to achieve unparalleled gains in resolution and deliver an even more natural and cohesive sound. The bespoke birch plywood cabinetry has been engineered with a Variable Distributed Port system allowing low frequency output to be tuned to suit any room dimensions. The extensively braced and damped cabinet is made with time-honoured traditional craftsmanship by Tannoy’s finest cabinet makers. 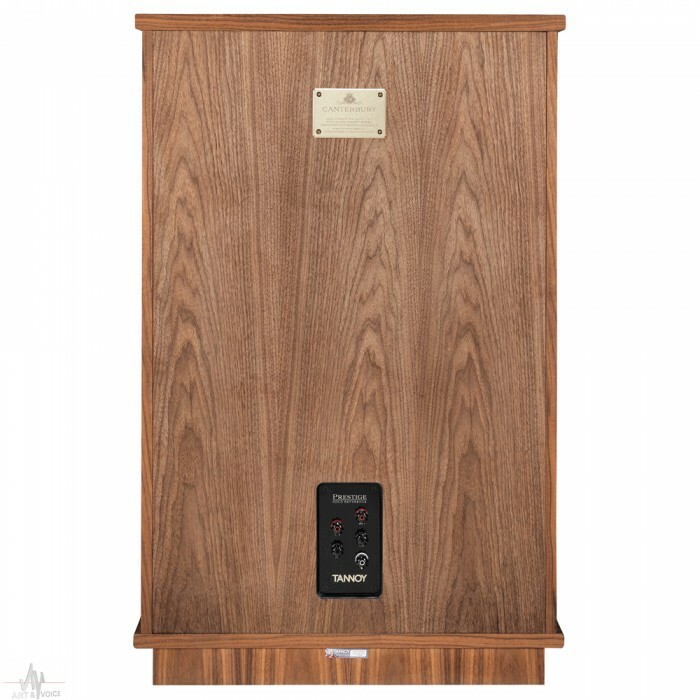 The timeless beauty of the oiled walnut veneer and hand selected burr walnut inlays is complemented with gold anodised machined metal trim and a welcome return of the classic Tannoy lightning strike logo. The Canterbury GR’s 15in Dual with its signature PepperPot WaveGuide™, Alnico motor system and HF compression driver delivers a superbly dynamic overall presentation with fast, accurate bass and a fluid and open midrange. The dual variable distributed port system and Tannoy’s signature High Frequency power switch gives unique flexibility with room placement and personal tuning. The classic Tannoy design, high-tech advances in driver and crossover manufacturing and the finest British cabinetry make Gold Reference the finest evolution of the classic Tannoy Canterbury to date. Dual Concentric™ high frequency 52 mm (2”) aluminium/magnesium alloy dome with round wire voice coil. Type Bi-wired, hard wired passive, low loss, Time compensated. 2nd order low pass. 2nd order high pass Deep cryogenically treated. Finish High density birch ply, walnut veneered, with solid walnut trim, 25 mm (1”) thick front baffle. Internally cross braced and heavily damped.